"A mascara is not a one size fits all," Michelle Phan said in her latest beauty videoMascara 101. 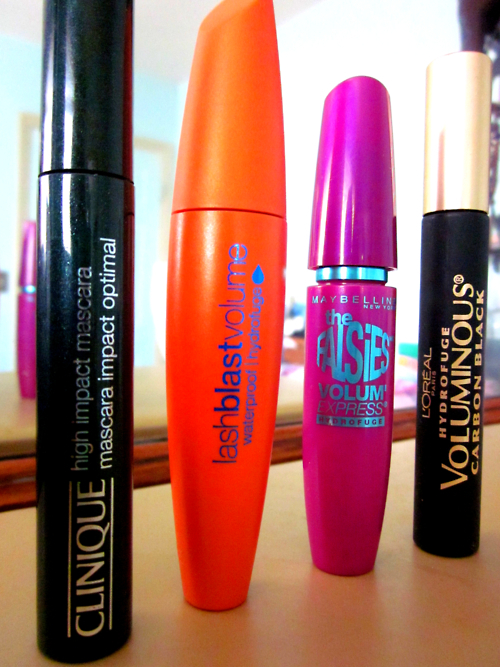 I bought these mascaras for a lot of different reasons. 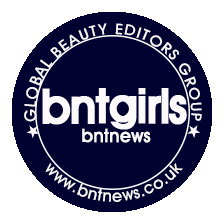 One is that I heard great reviews about them, second is that I want to find the perfect mascara that could give me volume and length, and third is to find a mascara that does an amazingly good job and is at the right price. Well, I have always been impressed by Clinique's skin care products and a few of their cosmetics. My mom actually got this one for me along with the Clinique bronzer in Sunkissed that we bought at Macy's. First of all, it is not the cheap-but-does-the job mascara that I was looking for because it's a bit pricey (well, I am sort of a cheap person LOL). No, the reason I am looking for cheap mascaras that are really good is because mascaras need to be changed often. Recommended use of a mascara tube is for 2-3 months only. This is due to bacterial accumulation in the wand that might infect the eyes. So, I don't really wish to spend all that much in just a mascara. I have thin and short lashes that are pretty much non-existent without mascara. This does give a thicker look to the lashes but not all that dramatic and it is also buildable because of the wet formula it has and is in a black color. It gives a bit of length and it does a pretty good job at making my lashes more noticeable. However, this mascara is not a waterproof one so that's a no for me. I like my mascaras waterproof because I tend to rub my eyes and I also use contact lenses and I sometimes need to hydrate my eyes with solution so I don't want my mascara to run all over my face. Also, my lashes naturally just points straight forward and waterproof mascaras hold curls better than the non-waterproof ones. I would give this mascara a 3 out of 5 stars, just because it's not waterproof and cheap and I think there are more comparable drugstore mascaras out there than this. I have heard a lot of people rave about this mascara so I thought I would try this out too. But boy, I was disappointed. I picked it up in a color that was in black brown because I needed to replace my Maybelline Volum' Express Hypercurl in brown. The first thing that I noticed about this mascara is that the wand is huge and and that the bristles are so short. Upon applying it, because of my short lashes, I made such a mess. The formula was on my upper lash line and it was so difficult to reach the lashes in the inner and outer corners. And it doesn't give me the kind of volume that I want. It also is not something that I could use on my lower lashes as well. However, with the bad also comes the good. Even if this doesn't really give me much volume than I wanted, it holds the curl great and it does not clump. And I actually love the black-brown color of the formula, but this is just not the mascara for me. Though I would definitely go and check out the other Covergirl mascara in Lashblast Fusion just to see how it would work out for me. I would also give this 3 out of 5 stars. I personally love Maybelline products and this mascara gave me quite an opposite reaction as to the Covergirl Lashblast Volume. Many people said that this mascara doesn't work that great and only a few like it. This works pretty well for me. It also has a wet formula that is buildable and just one coat gives me excellent volume and length. It doesn't really look like false lashes when you're done with it, but for me, it does an amazing job of giving me the volume and length that I want. One miss about this mascara is it does clump the lashes a bit but I learned that the technique to it is not to wiggle the wand while going through the lashes and slowly build the product up. I would give this a 4 out of 5 stars. When I picked this up at the drugstore I actually thought this was a re-purchase of the L'oreal Voluminous which I had before and loved, but I found out that what I had before was the Original one in black and not the Carbon Black. I loved the original one because it stayed true to its name, and game me really voluminous lashes that didn't give me any difficulties in application to both upper and lower lashes. There is not much difference between the original and the carbon black except that the carbon black looks much darker (which I thought would not be possible) than the original black, and of course that this one is waterproof. When I had the original one before, it was non-waterproof, but it can absolutely stand through a bit of water, sweat and oil. This is a definite hit for me. This is way better than the Falsies because it holds the curl much better. While the Falsies tends to clump up the lashes a bit, the Voluminous actually gives out a much neater appearance because it separates the lashes and doesn't clump. I would give this mascara 5 stars. This works perfectly for me. It is a drugstore mascara and because of that it is not that pricey, and if you're lucky, you can save a few dollars off due to promos. It gives me the length and volume I want and it's waterproof and of course, lived up to the reviews of most who tried it. The reviews are based from my personal experiences in using the products and it may work for me, but not for you. Try to find a mascara that suits you. :) Goodluck!